making it impossible to make a user comment. EDIT: It finally went through the second time but still something worth looking into. Sometimes the comments get glitchy... it shows you posted twice in my profile, for example. I saw that. I don't know what happened since it looked like it didn't go through the first time. This thread will allow you to show off your layout to other people so you know whether or not it works for all users and in all browsers. If this is not needed/useless. then please go ahead and close this. EDIT: Does anyone know how to remove the rnrn things in my layout? They appear at the beginning, the end and at the end of the signature. Since no one will probably be able to access this I figured I'd be safe to share the method on making these threads. To make a thread like this just put spaces in the thread title and viola. This board is now under the control of The Simpsons. For more info, head to my post by changing the forum ID from 1 to 255 while on the general chat main screen and then you'll see my post listed. I know there's the who sick thread and while this is related and could easily fall in that thread I just felt it was more appropriate to create a separate thread so 1. that thread isn't getting clogged and 2. this thread is about a specific experience. Anyways, with that out of the way, have any of you guys been on a ventilator? It's the device where they put a tube in our throat. You're most likely to be on one of these after surgeries and of course for serious illnesses. And to quote Randy53215, Discuss! Have you had one or something? Seeing this has given me the urge to get this NOT!! lol. And is it sad that I actually had a moment of excitement because I knew what Hyvee is? Not really. I get excited when my area gets mentioned on national TV or somewhere else I'd least expect it (Hint: FORTE.EXE on Acmlmboards I3 archive accessible using acmlm.kafuka.org/archive3 that url Just use a ctrl+f (or whatever your keyboard code for the search thing is) and type in FORTE.EXE when your in the memberlist and you can find some info about my area there just by some of his posts but there is a lot) or if someone mentions a product/place from my area. since it does not make national news or any other national place (such as Acmlm boards) often. I'm not sure if you've seen it or not, but there was a Purina dog chow commercial that aired last week and the ending of it said "And I'm Brian (or Bryan) from Davenport Iowa" which is where FORTE.EXE lives and is right across the river from me making it a 10-20 minute drive over there. Do you have any restaurants that you're getting or rumored to be getting? For me, we could be getting two Five Guys (One on both sides of the river), another Olive Garden (We have one in Davenport already) and probably a Portillo's. I'm sure some of you guys have heard of Portillo's right? They are a hot dog place. 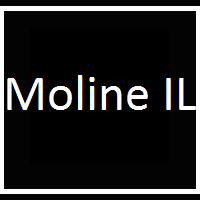 Apparently the CEO is from Moline so we kind of have an in. I first found out about these plans when Mark Manuel (A guy who works for Q106.5 KCQQ which is classic rock. You might know him from a rock station at 94.5(?) in Des Moines IA (If his name sounds familiar) before he went on to do top 40 at WHTS before switching to classic rock when WHTS was sold to EMF and dumped for Christian music making, at that time KBEA B100 the only Top 40 station until KUUL dumped oldies for the format in 2012) posted a story saying that he was watching Breakfast with... on WQAD where they announced these plus other development plans. If you want to see the story about this, do so here. We don't have one here, but I really want to get an In-and-Out Burger where I live. It was pretty fantastic when I was back in California, and I'd be pretty pleased to have one here. Otherwise, we kind of have more restaurants than I could want around where I live, so I'm pretty pleased here. I'd love to have one here as well. I don't think there are any that close to us. A good restaurant we had briefly was 100 Montaditos which we had in Davenport but it closed abruptly and the owner (Who had owned a Jewelry store that he had closed to do this) had wanted to open up more franchises in places such as Moline IL, Iowa City IA, Cedar Rapids IA and Des Moines IA but it never happened with the Davenport store closing and now becoming a Barrel House restaurant. If you live in Florida, you'll see a lot of 100 Montaditos down there since the US locations are headquartered in Florida. I still need to try the Pie 5 that went up here recently. I guess it's like Chipotle but with pizza. You heard of Pancheros? They are basically the exqct same thing as chipotle (they serve mexican food) but based out of Iowa City and only a midwest chain. I think they might be cheaper but can't remember. If you are looking for a new metal band to listen to, might I suggest Eleven Fifty Two? They are based out of my area and I think you can find their records on places such as ITunes. To read more go here. There is also some more info via the sources provided so make sure to read them as well. The article says it may be deleted but am gonna work on getting the article up to standards to avoid that. I also suggest you try and get Eleven Fifty Two played on your local rock/metal station as well so they can gain some national exposure. @Elara I sent you a PM about them but haven't heard anything back on this. Are they good? Did you enjoy them? Just showing off my new layout. Hope you enjoy it. Oh right, and everyone's losing their minds about how we're getting a Cracker Barrel. I could swear there used to be one down the street when I was kid. I am totally going to hit up that Shake Shack when I get back out there, though. One less reason to go to NYC now... at least foodwise. As for around here... uh... we got our first Starbucks. People lost their minds. Just avoid Cracker Barrel. You should not have to salt the bacon especially if they get the Hormel bacon unless they make it themselves then it could be 1. They never salted it or 2. They used to salt it but the old people complained so they stopped and decided to let them salt their own things. I was gonna PM Rogue about this but thought you guys would get a kick out of this so I decided to share it in a thread rather than a PM. So in the dream Me and Rogue had a job at some burger restaurant in Illinois and that's really all I remember of the dream save for a part where Rogue was mentioning posts made on Xeogaming with me knowing what she was talking about. IDK why I had this dream nor why Rogue relocated from California to my area in Illinois (Look to the left of this post for my area) but that's what happened. I think I used to be board dreams back in the day. We're talking 2004. Yeah it is. Nothing beats the dream I had a few weeks ago (but keep forgetting to share) where Elara was on the Today Show getting ready to be interviewed by Matt Lauer for a new book she released. Not sure how that one came about either but that one was an interesting one to say the least. I posted about this on some users user comments but figure a thread would be better. Anyways, I just got an exclusive report that Xeoman briefly checked into the University of Iowa children's hospital in Iowa City Iowa before leaving unauthorized and taking refuge in a house in Moline Illinois. So, this got me thinking, is Xeoman and xeogaming relocating to Moline Illinois and this is his way of telling us? I do not believe he was taken without will but his 9 day absence is suspicious though. This does line up to the timeline of him moving as well. And this is not a joke either. Page rendered in 0.175 seconds.